Madeline as a nerd, fighting to the death with a goth and cheerleader! See her "Action Shot" featured on their website! Madeline Re-Certified in the SAFD's 35th Anniversary Five Weapon Fight Test! 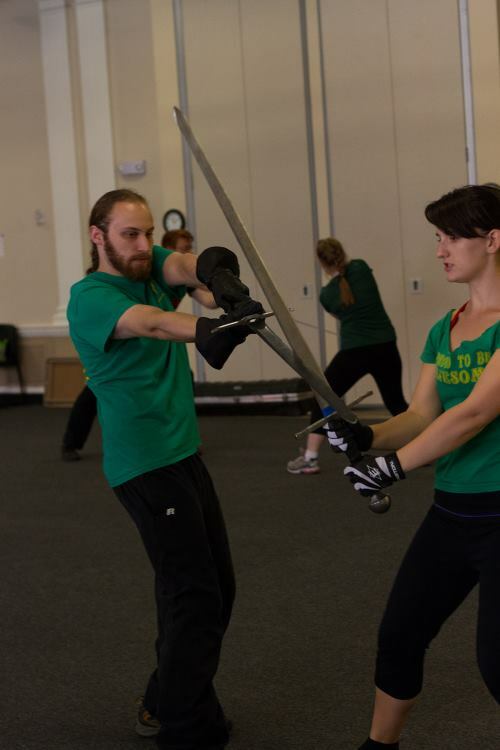 Madeline Lewis vs. Kevin Little Performing the fight scene from "Pacific Rim" in the SAFD's 35th anniversary Five Weapon SPR test: Quarterstaff, Rapier/Dagger, Broadsword, Singlesword, and Unarmed. Permission to post the full fight video was not granted, but you can email me for a private copy. And she was taught by Ricki G. Ravitts, Nathan DeCoux, and Joseph Travers. She partnered with the incredible Kevin Little. 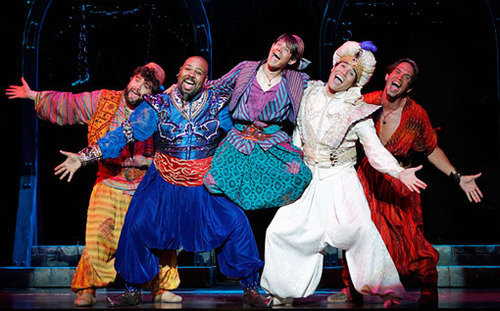 Madeline was hired for Disney's "Aladdin" on Broadway! 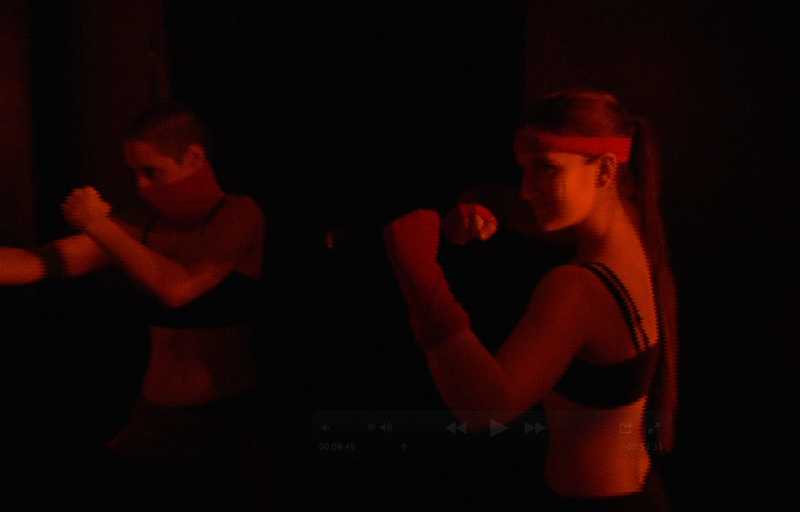 Working as a Pre-Production Stage Combat Assistant! 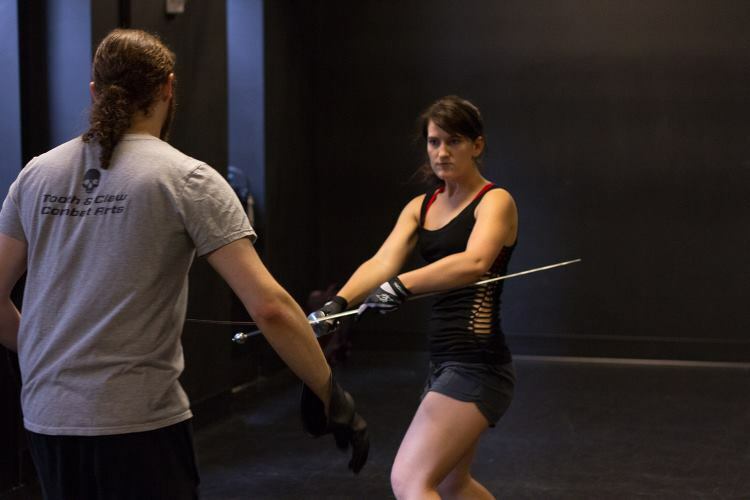 Seen here fighting with small swords and broadswords, with her fight partner Jon Rubin. Madeline played Mademoiselle DuPommes at the NY Ren Faire, where she had a climactic quarterstaff fight!